Lulabelle’s offers new fun toppings to their already delicious ice creams. File under yay! and yum! Lulabelle’s Sweet Shop reopens on Tuesday, February 5th at 8am, after a month-long hiatus. Inside you’ll find some minor remodeling, but the real changes are to the breakfast and lunch menus. The shop had been closed since the end of December to do some minor remodeling and changeover of the coffee machine and food licenses. When it opened, Lulabelle’s was a partnership between Julie Wineinger, the owner of Lulabelle's and Willow Fashion, next door, and Emily Friedberg and Jeanlouise Conaway of Each Peach Market in Mt. Pleasant. In December, the team decided to end their partnership on very amicable terms. Each Peach ran the kitchen operations, as well as the ice cream and coffee service at Lullabelle’s. According to Emily, they decided to end their partnership and focus on their Mt. Pleasant business. The food-handling licenses were held by Each Peach, so Wineinger had to apply for those licenses and hire new staff. She also took a little personal time to have her second child before jumping back into the sweet shop business. The opening brings new wainscotting along the walls that brighten up the space, along with new hours of operation and a breakfast and lunch menu. A new, high-end espresso / coffee maker gives Lulabelle’s a lot of coffee options — including cocoa made with Wineinger’s grandmother’s recipe for hot fudge. 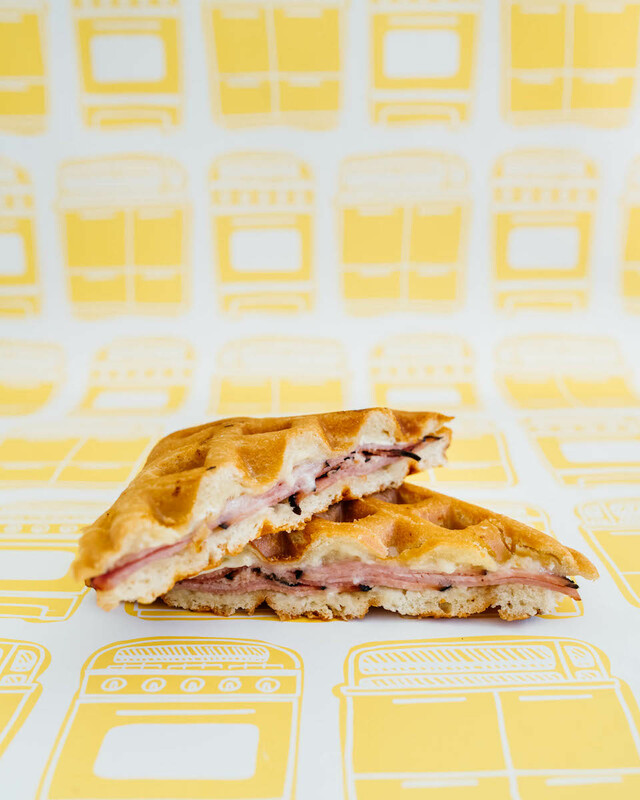 "Our team has been working really hard to expand our offerings and we are excited to introduce breakfast and lunch options,” Wineinger said. The shop opens at 8am to serve breakfast, closing by 7pm (for now). The new menu is comprised of several “family recipes” including a Shipwreck Sandwich, an egg frittata between ciabatta bread and grilled on a waffle iron ( a sausage and vegetarian version are available). From personal experience, the sandwich is delicious. I’m already waiting for another one. 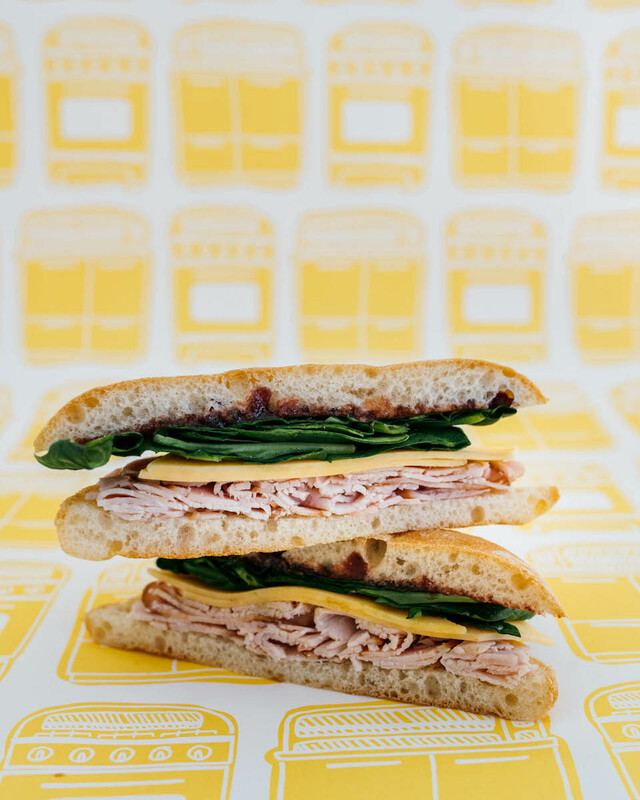 They now have several sandwich choices such as turkey, apple, swiss, with strawberry jam , hot ham and brie, and grilled cheese. A vegan sandwich is also in the works and should be available in the next couple of weeks. A collection of pastries plus drip coffee round out the new menu. Wineinger states, "Lulabelle is the term of endearment that my Grandfather called my Grandmother so it was only fitting that the menu features one of her recipes: Hot Fudge." "It has been so much fun selecting all the new items for the shop (like fancy sprinkles and retro sodas) but I want our loyal fans to know that some things have stayed the same such as the candy, the Taharka Brothers Ice Cream, and the Lost sock coffee. We kept all the awesome of the original Lulabelle's and just added more to it," says Wineinger.